To say Celtic have begun their domestic campaign on fire would be an understatement. Nine goals from the opening two games have got the Hoops off to an absolute flyer. 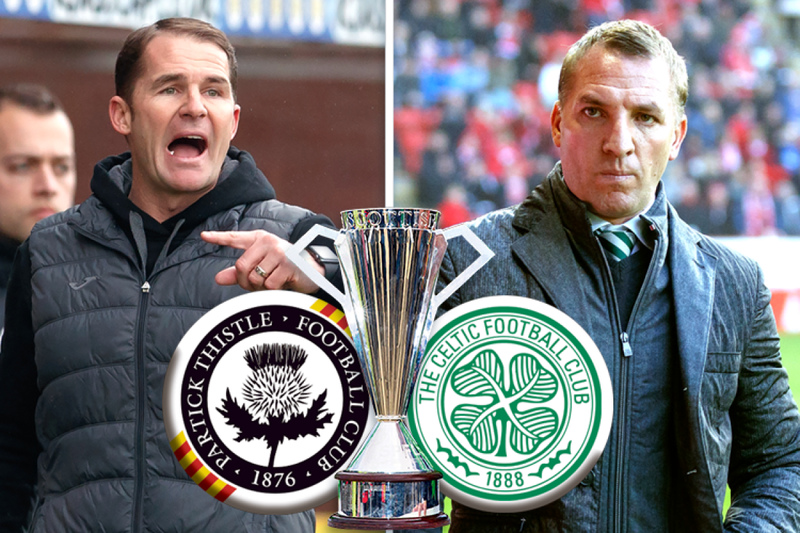 Having dispatched two Premiership teams in the space of four days, many of us are wondering if an unbeaten run could be on the cards once more. It’s early days of course, with another nine opponents of varying calibre in waiting, but it would be an unbelievable feat if another invincible season happened. Though unlikely, Celtic will use that as their yardstick for the season ahead. Let’s also remember that the team aren’t even at full strength yet. Injury and suspension have claimed the availability of key players. Match sharpness is still being worked on as well. Since the Champions League qualifiers began, Brendan Rodgers has fielded his best available team selection. He’s maintained that through to the opening league match. A strong home performance saw off managerless Heart of Midlothian at Celtic Park last Saturday. A fine 4-1 victory was a solid enough performance to mark the flag day celebrations. Celtic were in good rhythm despite four qualifiers in the previous weeks where match sharpness was expectedly absent. With a striker and a focal point back in place though, things are been beginning to click. Leigh Griffiths has been the catalyst in better fortunes since he reappeared as a substitute in Norway. Coming off the bench in the second leg against Rosenborg altered the dynamic that night and made a significant contribution in getting the win. Despite not scoring in that match, he carried his performance into the Hearts game and bagged a superb brace. Scott Sinclair and Callum McGregor each providing a goal too. Next up was Kilmarnock in a rare home fixture in the League Cup. Instead of going for his best available eleven, Brendan mixed things up a little. As holders you want to retain the trophy you’re competing for again. What Brendan did though was something bold and beautiful. An outfield team with the average age of less than 20-years-old buried their Ayrshire opponents 5-0. This was a match of such dominance you’d be forgiven for thinking that Killie hadn’t turned up. Old man Craig Gordon had all but taken his teeth out and put them in a glass by his goalside table. It was a youthful batch of players taking the game to Lee McCulloch’s woeful warriors. Is it too early to say they’ll go down this season? Don’t let that take any credit from Celtic – the Hoops were on fine form. Kieran Tierney captained the team for the second time. This was his first competitive captaincy having deputised in the Sunderland friendly. Playing in a back three, he was joined by Kristoffer Ajer and Anthony Ralston. The midfield was equally as youthful. Calvin Miller, Eboue Kouassi and Kundai Benyu joined the experienced Tom Rogić, Stuart Armstrong and Jonny Hayes in the middle of the park. The blend was tireless and endlessly productive. At the tip of the attack was an effervescent Leigh Griffiths once again. And it was himself that opened the scoring from the spot on 14 minutes. Ralston popped up with a header seven minutes later for 2-0. Griffiths continued his goal scoring form with a well placed finish eight minutes later to make it 3-0. That was the score at half -time, but before the interval Celtic lost Kouassi to injury. He was replaced by the young, experienced and tidy traits of 21-year-old Olivier Ntcham. In the second half, captain Tierney decided that if Ralston could score then he could as well. So he stepped up and unleashed an unstoppable 40 yarder to make it 4-0. Goal of the season? Well, we’ll still be talking about it in May 2018 that’s for sure. Celtic swapped out Griffiths for Forrest and Benyu for McGregor. That kept the momentum going. Armstrong wrapped things up with close finish to make it 5-0. He looked pretty happy to score as well. Given his unresolved contract status he showed encouragement that night that he wanted to stay. We’ll have to wait and see how that pans out though. This was as good a performance than you could hope to see from such a young team. No, it was better than that – it was a masterclass of youth and experience working in unison. Were Killie poor on the night? Yes they were. They offered nothing in a game which is a knockout competition. Didn’t have a go/couldn’t have a go – it didn’t matter. Celtic wiped the floor with them. Partick Thistle are now awaiting Celtic’s arrival this evening at Firhill. The Jags lost their opening league game of the season away to Neil Lennon’s Hibernian who returned to the top flight with a 3-1 home win. Thistle bounced back midweek in the League Cup by hammering St Johnstone 0-3 at McDiarmid Park. The only thing that goes against Partick for tonight’s live match is that Celtic are likely to field their strongest side. Scott Brown is back after his suspension and we’ll probably see Mikael Lustig and Jozo Simunovic return to defence. Whether Brendan decides to stick with Ajer or redeploy Nir Bitton at centre half is anyone’s guess. Both players are actually midfielders, but have seen themselves in defence this season due to injuries. I think both have acquitted themselves well though. Ajer seems to be the one who is more likely to be retrained for this position long term, but Bitton offers cover as midfield chances will be rare for him. The midfield can take many forms these days. There are so many options to start with and so many you can bring off the bench as well. Up front we’ll be looking to Griffiths once more. I genuinely think he’s going to push on this season. Celtic have set their stall out early. They are the current benchmark. Friday nights and Celtic. What’s not to like?